A potential hiccup Monday in a $43-million apartment development on the outskirts of downtown Windsor. 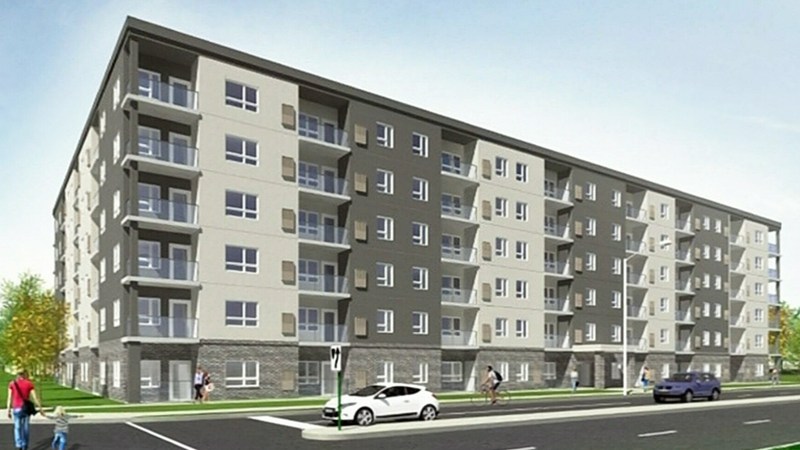 City council already approved Piroli Construction's community improvement plan application to move forward with a new six-storey apartment building featuring 150 units at the corner of Wyandotte and Crawford. But as committee members considered an official plan amendment and re-zoning of the lands tonight new concerns were raised by neighbouring business, BASF. It’s their contention that the Piroli development would put BASF in non-compliance with the ministry of environment over decibel levels coming from the existing plant – a twist BASF officials say would cost the company substantial money to mitigate. They claim they weren’t aware the project was so far along and only learned of the committee meeting within the past two weeks. Rob Prioli told the committee Monday night the project won’t be viable should there be further delays in the process. Eager to see the development move forward, the planning committee asked the parties to work out a solution prior to when the item goes back before council. The recommendation is expected to go before council within the month.